Do you want to know how to use Android without Google? Then read on. Compared to other operating systems, right now, an enormous number of people are using Android as their OS. One of the major reasons behind this aspect is its ‘easy to use’ interface and the liberty, which it gives to its users. But there are many users who are not happy about confining themselves within the barriers of Google and want to use Android without all that ‘Googly-ness’. So, if you are one of them, you will be happy to know that it is possible to use Android without Google, if you have the right sets of tools. Therefore, here we are going to guide you about how to use android without Google. According to the perception of most of the people, Google is something, which makes Android more impactful. Google play, Google services and the constant synchronization with your Gmail account are some of the most substantial features that Google has to offer to Androids. But, there are several people who consider it as an issue when Google tries to know so much about, how they are utilizing their phones and as a result of that they grab the conclusion that the Android devices are not their cup of tea. So, if you are someone who likes the leniency of the Android devices but don’t like Google to intervene your privacy then an Android phone which is free of Google is the best option for you. To make that happen, you have to go through some fiddling without which, it will not be possible for you to strip off Google from your existing Android device. You have to remove the Google-fied operating system, which is shipped on your phone and replace it with something else. So, let us dig a bit deeper about the matter and let us know how to use Android without Google. For the test, let us take a phone, which has Lineage OS installed in it. Take it out right from the box and you will find out that it is very easy to set up. All you have to do is to tap and it will be ready to go. There is no need of signing in as there is no Google service in the device. 1. Amazon underground- After Google play store, Amazon Android holds the largest number of apps in its bucket, which will allow you to install your favorite apps without the obligation of Google. 2. F-Droid- Compared to other Google Play alternatives, it is a bit underrated, but it is an amazing option for you if you want to use only open source software. The best part about this open source software is that everything that you will find here is free of cost. Apart from all these, there is also a third option, which you can look for: APKMirror. The full form of it is Android package Kit, which is a website that hosts APK, which mirror all the free apps that you will usually find in your Google Play Store. All of these APKs are uploaded by the users and APKMirror verifies each of them. So, you can trust them without any hesitation as they are the legit copies taken from the Google Play Devices. They are not pirated and have nothing to do with spyware. It doesn’t matter what you want to do, you need to enable the ‘unknown sources’ even if you want to install the Appstore itself along with any apps from the said store. So, this is how to use Android without Google. 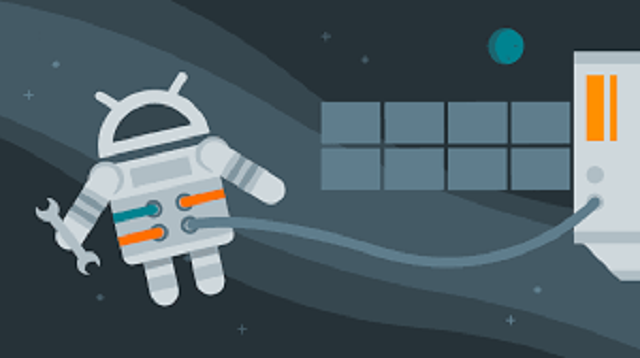 We have already discussed that the Google services enhances the value of Android, it is a very obvious fact that it will lose that value, if there is no Google in your Android device. You will not be able to sync your contacts, which will be a big issue for certain people. Putting all your contacts manually again will be a really big deal. To avoid that situation, you can back up your contacts by exporting them, before you make your Android device Google free. Also, you are going to miss several other things like Gmail, Google play, Google Maps, Password sync and Chrome bookmark; and many more things. Keep one thing in your mind that, while installing apps from play store alternatives if you can see that it requires Google play services, be sure that it will not work on your Google less phone. Recently, a project has been launched named MicroG, which mimics everything that you will find in play store, except it is an open source. This is another option you can opt for; you are confused about how to use Android without Google. But make sure of one thing if you are opting for MicroG, your ROM must support signature spoofing. So, if you want to make your Android device free of Google and confused about how to use Android without Google you can look for the above written points.